Edited 2 time(s). Last edit at 09/13/2017 03:34AM by edvard rahel. And if use this Lerdge module ( Heated Bed Power Expansion) and connect on our ssr and pad silicon, for protect the board. Silicone pad 220v with Ssr, connected after Expansion Power Module High Power expansion card, connect on the Lerdge board. Lerdge is a very good board. It s difficult send picture here? I just bought this board, and was setting it up on my Tevo little monster delta, and then after a reboot, the screen is not working. Anyone had this appen, any ideas to fix it ? Before it stopped working, it was a little unrealable a few reboots earlier....but now its just dark. But you can see some flickering between dark, and black, so it is geting power or something. Edited 1 time(s). Last edit at 09/18/2017 05:03PM by SJN. The Lerdge motherboard doesn't support 220V heating element. Suggested not to use this, or will probably burn the board. Edited 1 time(s). Last edit at 09/19/2017 05:59AM by edvard rahel. I have contacted the seller. Yes, the endstops needed the wires to be switched, and everything else works fine. Only the screen is dead. Edited 1 time(s). Last edit at 09/19/2017 05:46AM by SJN. Ok, now I am confused. I contacted Lerdge a few weeks ago and they told me that using an SSR for a 220V heated pad is a catastrophic idea and there are several reports of fried boards. You say that it works fine with the use of MOS module? Anyone else tried it? Edited 2 time(s). Last edit at 09/20/2017 06:38AM by maralb. Here my corexy with Lerdge board, and pad 220v and ssr. No problem, Lerdge it’s a very good board. Lino38 what size is your heated bed? Edited 5 time(s). Last edit at 09/26/2017 02:51AM by edvard rahel. Hi, what voltage do you recommend and use with the board and 220V heatbed with SSR, 12V or 24V? Pronterface connecting board but nothing happening when want sent any command. 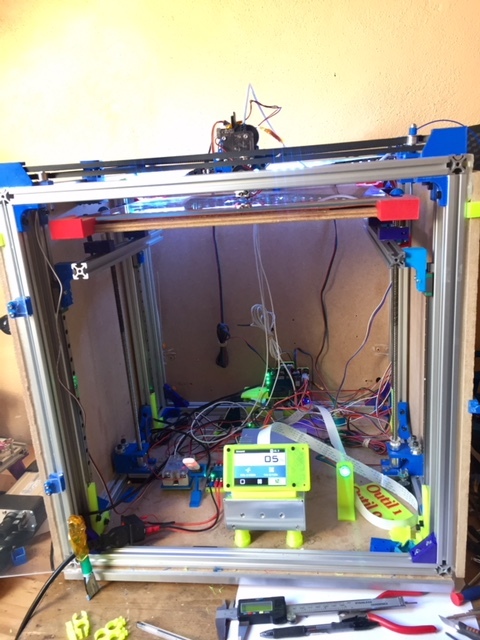 Second extruder have no connection for filament monitor ,Seller advice to use 2 in1 extruder,He can not explain how to use 2 extruder talking about difficult for connect due high tech demand of second extruder????????? Not clear what he thinking .Any one printing with 2 extruder ? Where is RGB control,How to change color of rgb striip? Lerdge logo on top of official page say LEROGE, Very serious company not able to write company name correct. It coming new version of standard board Gen4 improved and incorporating module direct on boar If you planning to order this board better wait next version. Official pre-sale , pre-sale within 7 days after delivery, about the end of October delivery, after the end of the sale to restore the original price, pre-sale of each ID to buy 10 . Lerdge-X is a high-integrated control board designed for small 3D printers, educational grade 3D printers and entry-level 3D printers in the motherboard, using 32-bit coretx-M4 Core control unit, strong performance and stability, feature-rich, price concessions, with 3.5-inch full color IPS LCD touch screen, bringing a simple, smooth operation. The motherboard uses an open interface, free to match the motor drive module (A4988, DRV88225, LV8729, TMC2100 and external drivers, etc.) to meet the needs of different customers. Motherboard optimized limit switch connection, and a comprehensive line protection design. On the instructions: Lerdge-X motherboard comes with print pause, print save, boot resume function, for accidental power, power to save continued to play, print off the power function to be equipped with additional power monitoring module . About printing instructions: Lerdge-X motherboard default for offline printing (that is, TF card printing or U disk printing), for online, please also equipped with online modules. --- Lerdge-X motherboard U disk printing has support USB2.0 with USB3.0. Shipping list: motherboard (or drive optional unworthy), 3.5-inch screen, 30cm FCC cable screen, 30cm power cable, a terminal spring package, pen resistance, nylon bag screw nut 1, the word wrench. Suggestions: ]Suggested motherboards are equipped with music drive (import chip guarantee), due to the use of poor quality caused by the motherboard damage, not within the warranty. The old version of the Lerdge-S motherboard will be upgraded to Lerdge-S + motherboard, one onboard more features, to achieve the majority of features together, without expansion. Edited 2 time(s). Last edit at 10/09/2017 08:51AM by edvard rahel. For a better map than the lerdge there is the chitu redrabbit with all the language translation and all options unimaginable and 7"screen or 10"
I got it working on my Tevo little monster Delta with 220V heatbed via the stock SSR. I tripple checked the wiring, and the settings stated in the totorial on the Lerdge site are pretty clear and obvious......but I cant get it to work. On power up, the BL touch does its test cycle, and the pin cycles up and down a few times, and the red light comes on. But I can not get the "servo" to actuate when im in the run menue. And als initiating a autolevel, does not drop the pin. But I still printed a few things with manual bed level, and it look pretty good. I have re-installd my MKS Sbase in the tevo again, as the quality is the same. I have TMC2100 drivers on my Sbase. But I do really like the easy use of the touch screen, and setup of the printer. Its heaps better than anything else that I have tried. Ohhh.... I wrote earlier in the thread that my screen was dead. During the VERY long dialog with Lerdge, they accepted top replce my screen, but I had to send the bad one back to China. So I just ordered a new one myself, because shipping the old one would cost as much as a new one, and the wait would kill me. When I got my screen, the new one did not work either. I then found te problem of a bad solder joint, and I heated it up with my soldering Iron, and got it working again,. Edited 2 time(s). Last edit at 10/12/2017 03:00PM by SJN. I can not connect PC to board over PC link module,Soldering on usb connector looking really bad . Excellent quality control. I waste over 100 usd for buying crappy board . I would like to know why lerdge does not provide us the files for dev. because the base is open source smoothie or marlin. normally they are obliged to provide us with the source. I saw on google + B Velta using lerge board, in the video you can see through the form Udisk and USB pen. Edited 1 time(s). Last edit at 10/29/2017 07:31AM by maralb. I have the USB board. Which WIFI board did you use? Edited 1 time(s). Last edit at 10/29/2017 02:06PM by maralb. 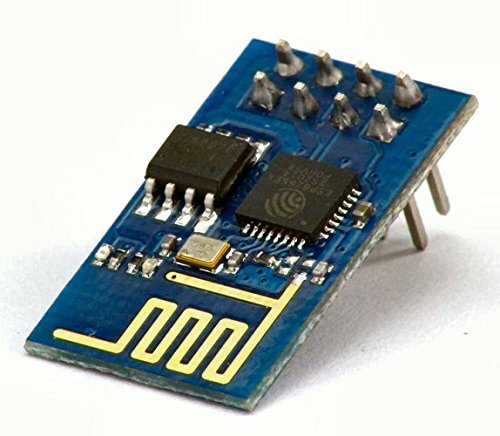 do you testing esp01 for wifi connection ? Hi, anyone have already tested the wifi module. Need to program it? I have a problem that the board can not find any network.